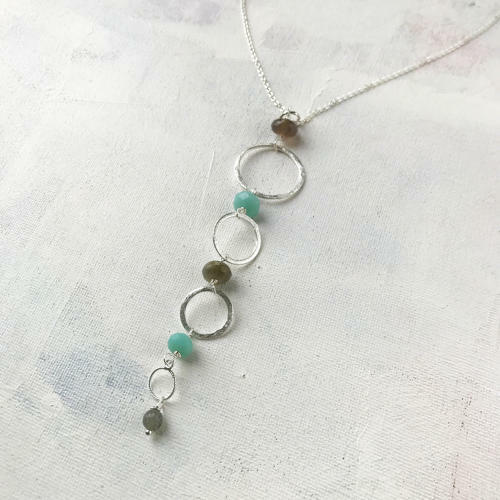 A stylish long necklace with amazonite, labradorite, cloudy quartz and either gold or silver plated etched circles. Length of chain, 70cms, pendant 14cms. Designed and hand made in England.